Everyone remembers their first bike. It’s a milestone of youth, a symbol of independence and growing up. When you give a child their first bike, you’re giving them a tool for learning a skill that will last a lifetime because thank goodness, the joy of riding a bike doesn’t end after childhood. A bike provides endless adventure plus the sense of freedom that comes with being able to go places on your own, and teaching your kid to ride a bike now will give them more commuting options in the future. 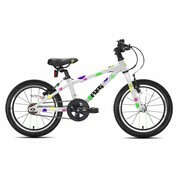 At What Age Can Kids Learn to Ride a Bike? As soon as your child can walk you can start them on a balance bike, which teaches balance, coordination and steering, the fundamentals of bike riding. Learning to pedal is easier than learning to balance, so kids that start on balance bikes oftentimes skip training wheels altogether. 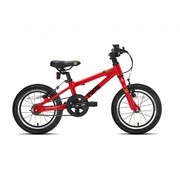 When your little one’s ready, we have high quality pedal bikes from brands including Linus, Frog and Cleary. Come in to our family friendly store to learn about your options in a hands on, supportive setting. We even have a play area with Legos! 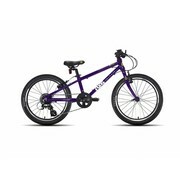 Kids’ bikes come in sizes ranging from 12-inch to 24-inch, a reference to the wheel/tire size. 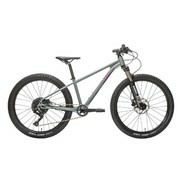 We’ve made it easy to shop online by providing approximate ages and rider measurements. Support is available if you have any questions. Kids learn best by riding bikes that are designed for their height and skill level, so you should avoid buying a bike that’s too big. Purchasing a bike that your child “will grow into” can be dangerous and hurt your child’s confidence early on because they will struggle with control and steering. If you need help with sizing, we’re happy to help. Call, email or send us a message. A first bike any kid would be proud of. 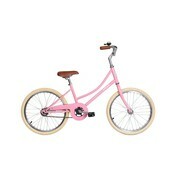 Fits most riders ages 6 to 8. 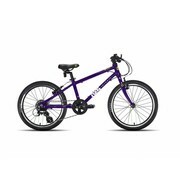 For kids who tackle technical trails or hunt for caterpillars in the neighborhood. 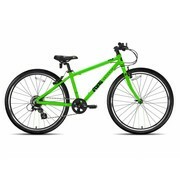 A low-maintenance kids' bike with gears. 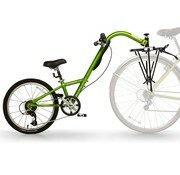 Rides smoothly. Simple to use. 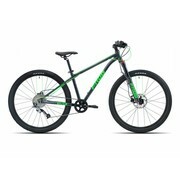 5 speeds for racing friends down the street or chasing you up the trail. The best trailer bike around--with gears! 2 in 1. 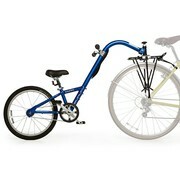 Starts as a kick bike then converts to a pedal bike. 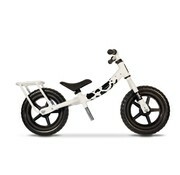 The world’s first kids’ cargo bike and balance trainer in one. 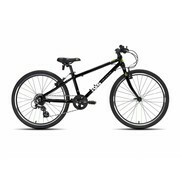 Great for riding on trails, to school and all over the bike park. 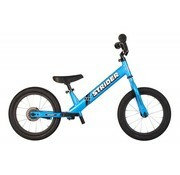 A first bike any kid would be proud of. 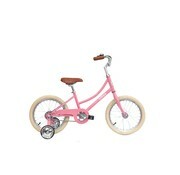 Fits most riders ages 4 to 6. 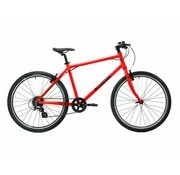 A great bike for first time riders approximately 2 to 4 years old.